2015 was arguably one of the most productive years for the entertainment industry. Hopefully, 2016 will triple last year’s successes and continue to portray the Nigerian musical industry as one of the best in the world. Adenike writes on a few artistes that Nigerians and the world should keep an eye on as this new year unfolds. The crooners of the anthem, Dorobucci, especially new entrees to the group, Di’ja, Korede Bello and Reekado Banks, are brands to watch out for in 2016. Hadiza Blell is known as Di’ja, who is half Nigerian, half Sierra Leonean. in 2015, she became Glo Brand amassador. she has a hit single, Awww. Awww sensational and has received reasonable airplay. 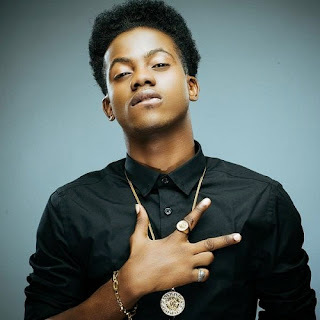 Korede Bello ‘Wink Master’ has been in music since he was 7 years old; apart from his cute baby like face, he has an amazing voice. In December 2014, he became the first to get an endorsement amongst the three new acts of Mavins. His deal was with fashion clothing line, Woodin and he’s also an Africa Peace Youth Ambassador. In 2015, He became Glo Brand amassador and also first Nigeria Police amassador. The 18-year-old guitarist has a Hit single titled GOWIN. Reekado Banks’ single, Katapot, received fair airplay and acceptance and his lyrics in Dorobucci, Adaobi, Chop am and Katapot show he have a lot to offer in 2016. His freestyle together with Di’ja and Korede on the MTV Base Africa Top 10 chart show was a hit, and the social media audience couldn’t stop making remarks about him. In 2015, He became Glo Brand amassador and also won The Headies 2015 Next Rated. Born Solomon Ayoleyi Hanniel, Reekado is a Graduate of University of Lagos and expresses that his style varies from dancehall to afropop. Reekado is a singer and a songwriter. After been signed to Northside Music in 2014, the patua queen has not stopped topping the charts. She got some notice after her appearance in Jhybo’s single, Ejo Le Fe Ro at the age of 16. Her songs in 2015 like German Juice, Come and do, Baby mama received massive airplay. She is regarded as one of the hottest female artistes of 2015 and plays the talking drum. Goodluck in 2016, the sky is your limit. 2015 was really a good year for the Jagaban crooner, OLUDEMILADE MARTIN ALEJO Popuarly known as YCEE signed to Tinny Entertainment. He rose to fame after the release of his second single “Jagaban”. the hip pop rap act caught the glimpse of YBNL boss, Olamide who made himself available to be featured on “Jagaban Remix”. YCee recently won the Headies 2015 Roockie of the year. The young dude that rose from the streets of Festac to stardom has proven he’s an artiste that is ready and determined to be consistent. The fans cannot wait to see what the “Jagaban” has in stock for 2016. Oladipupo Olabode Oladimeji Stage name Ola Dips is A Nigerian born indigenous rapper, who hails from OGUN STATE,He grew up in the Heart of Ogun,which as affected his choice of words and style of music positively. Ola Dips started music wayback 2012,grew up listening to the likes of late Dagrin, 9ice, 2face Idibia, Lord of Ajasa, Olamide, D’banj, Reminisce to mention few,these are people who has always been a source of inspiration to him,and as influenced his music career!. Toward The Middle of last year, Ola Dips was discovered by Ob9ja and managed who was CDQ’s Ex manager. He rose to fame in some of Nigeria without a single Video or Label. He also won Dbanj’s The King is here rap competition. last year December, Different news surfaced that Reminisce sign Ola Dips to his label and both them seen together. Talented , No doubt. He gave us Sade and Orente, as if thats not enough for Us, He then wrap up the Year with Pick Up and a Headies Award to kick start the 2016. We’re more than sure Adekunle Gold will make it to the Next Rated List of the 2016 Headies.. Mark our word. Gworldwide Entertainment’s Second man, Ehimare Jeffrey popularly known as Sugar boy is a singer, songwriter and dancer. Born in Edo state. In 2015, Sugar Boy has prove to us that he is talented and better than his label mate, Kiss Daniel. He was Featured In Two different singles titled ” Raba” and ” Molue”. Sugar Boy is set to drop his first single any time soon.